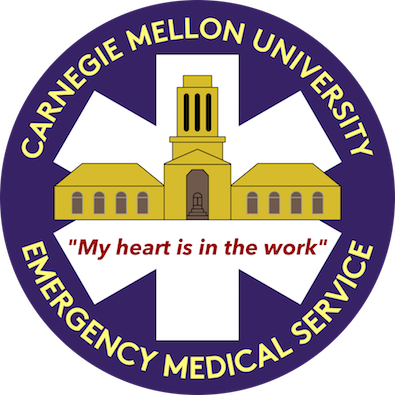 The primary purpose of CMU EMS is to provide professional-level medical treatment for emergencies on the Carnegie Mellon campus. The organization is completely run by students and continues to meet state standards of excellence for patient care. With minimum staffing by at least one EMT and all members certified in CPR and First Aid, CMU EMS provides 24-7 medical coverage and has an average response time of under 5 minutes. Members are commited to serving others and receive no compensation for their time. This includes daily shifts, standby for events, and classes for the community. CMU EMS welcomes any member of the Carnegie Mellon campus community who is committed to helping others. CMU EMS also offers classes in First Aid and CPR. A Pennsylvania EMT Class is held on campus each year and can be found on the schedule of classes website.